We are washer repair experts. If your washer is leaking, making noises, not doing its job, we can help. Our team of highly skilled experts can fix your washer in no time. We work on all models and brands of appliances. Some of the most common once we see are Asko, Bertazonni, Bosch, Dacor, DCS, Electrolux, Fisher&Paykel, Frigidaire, GE, Jenn-Air, KitchenAid, La Cornue, LG, Liebherr, Marvel, Miele, Perlick, Samsung, Siemens, Sub-Zero, Thermador, Traulsen, True, Viking, Whirlpool, Wolf and many more. There is not a brand that we can not find parts for or fix. It does not matter if your washer is old or new. We will be able to determine if it’s worth repairing. Just give us a call, and your washing machine will be fully functional and safe. Oregon Appliance Repair team is factory trained and certified. They are up to date with the latest in appliance repair technician. We have all the tools and equipment necessary to bring your washer back to life. We also have suppliers who deliver genuine factory manufactured parts to us in the shorts time possible. Where with other company it can take weeks to get the right parts, we only take few days. And you can be sure of the quality of both our work and the parts because we have the warranty on both of them. Oregon Appliance Repair is a company with the tremendous amount of hands-on experience and knowledge. We have been family owned, and family operated for the past 30 years. All this time we work with both commercial customers and residential customers or keeping their appliances in top shape. Besides specializing in washer repair, we also do refrigerator repair, dryer repair, dishwasher repair, stove and range repair, oven repair, steam oven repair, microwave repair, freezer repair, ice maker repair, barbecue repair, pizza oven repair, patio heater repair and much more. In fact, we can repair any appliance in your kitchen or laundry room. There is not an appliance out there that we do now know how to fix. And we can find parts for almost any brand of appliance. It does not matter if your washer is older or a brand new one. We will be able to figure out what is wrong with it in no time. No project is too small or too big for us. What makes us different is that we are a local business. Oregon Appliance Repair can offer you the same day service and very flexible hours. 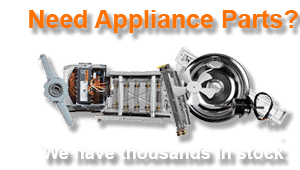 Our appliance repair service area includes Bend, Madras, Metolius, Mountain View, Old Farm District, Old Mill District, Orchard District, Pine Grove, Powell Butte and more. 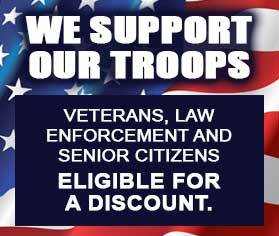 Call us to find our if we can come out to your area. Our company goal is to make appliance repair easy and convenient for its customers. We strive to give you top professional service at an incredibly low price. We can find the solution to any of those issues. Sometimes solutions are easy and fast like tweaking something in the motor or cleaning out parts of the washer that got clogged. But sometimes they require new parts. Often after extensive use, washing machine internal parts get damaged and worn down. In that case, we can always order the parts for you. We have access genuine parts for all brands and models equipment. Those parts well priced and excellent quality. Our tech will order a part for your washer and schedule you for another appointment. Usually, it takes few days to get the part we want from a supplier. As soon as we get it, we are on our way to install it for you. Our knowledgeable technicians will be able to install those parts professionally. They will troubleshoot until the unit is functional. The next step would be to put your washing machine back together. Next, we will clean up after yourself and dispose of all the old parts. We will make sure that your washer is functioning perfectly and is clean and safe. You will get a washer that can serve you for many years to come without giving you any trouble at all. 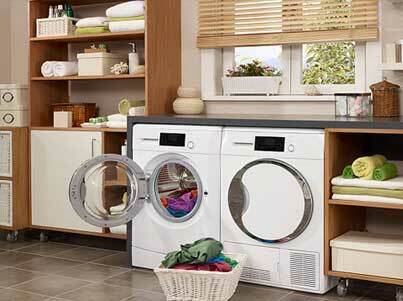 Our company offers washer and dryer maintenance service as well as overall kitchen appliance maintenance service. We know that your appliances are very expensive and you want to keep them working for a while. Our tech can come to you on an annual or biannual basis and check your appliances for damage. He can also replace filters, clean out certain parts, etc. He can do this for your entire kitchen or laundry appliances. By doing this, we make sure that your washer and other appliances are in perfect shape all the time. We catch any problems before they become too big and too expensive. Our maintenance plan will save you both time and money in the long run. It is perfect for someone with high grade, gourmet kitchen appliances or washer and dryer. Ask our technician about the washer maintenance plan. We have more 30 plus years experience in washer repair. Our technicians are highly skilled, professionals who know everything there is to know about washers and dryers. They are factory trained and certified. This means they are familiar with the latest techniques in appliances repair. Also, they are punctual, polite and friendly. Our team will go out of their way to keep you satisfied. You can be sure that after an appointment with us your washer will be working well. It will be clean and safe to use. Also, we guarantee that your overall experience with our company will be positive. For washer repair, please call us at 541-948-8835 or fill out our short contact form. We will be happy to set up a convenient appointment for you. Our friendly and highly skilled licensed technicians will soon be on their way to repair your appliances. We do washer repair Bend, Eugene, Portland, Central Oregon, Crook County, Deschutes County, and Jefferson County. We are washer repair experts. If your washer is leaking, making noises, not doing its job, we can help. Our team of highly skilled experts can fix your washer in no time.